The Arcadia eGift card can only be redeemed in participating Arcadia Brands' stores in the UK and on the Pound sterling websites of the Arcadia Brands (excluding Outfit). It cannot be used in Arcadia Brands' concessions in department stores. When redeeming your eGift card online, you will need to input the (16 digit) card number and the (4 digit) PIN code at the payment page of the online checkout. 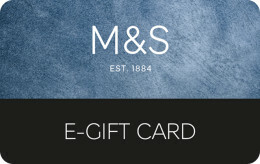 When redeeming your egift card by visiting one of the Arcadia Brands stores in the UK, you will simply need to either present your eGift in a printed (pdf) format at the till point or present the electronic version of the eGift card on your mobile device to the Cashier at the till point. Upon presentation of your card, payment for merchandise in full (or in part if there is insufficient balance) will be deducted from your current balance. If you use eGift card as split payment (part gift card, part cash/debit or credit card) and later return the purchase, eGift card will be refunded first. The eGift card cannot be refunded, exchanged for cash, used to purchase Arcadia Brands' gift cards or eGift cards or used to settle Arcadia Account Card balances. Any balance remaining after use of the egift may be applied to future purchases. The minimum amount to activate or top up this eGift is £10 and the maximum amount is £300. 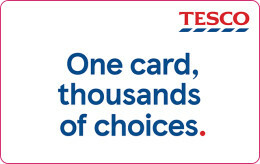 eGIft cards can only be loaded and redeemed in £GBP. The eGift card will be valid for 24 months from the date the email is sent to you or your recipient. Any balance remaining will be deducted to nil and forfeited. The Arcadia Brands are Burton, Dorothy Perkins, Evans, Miss Selfridge, Outfit (UK only), Topshop, Topman and Wallis. Please treat this eGift as cash. Register your eGift card on any of the individual Arcadia Brands Registration Pages by visiting www.arcadiagroup.co.uk to protect the card against loss or theft. Arcadia are unable to replace eGift cards(s) if damaged, lost, intercepted or stolen. Love to stay on trend or know another furious fashion aficionado? An Arcadia gift card is the way to go, to let you, a friend or loved one enjoy some of the best that the UK high-street has to offer. With Topshop, Burton, Miss Selfridge and many more favourite fashion stores on the books - every style can be matched with a gift like this. With Arcadia gift vouchers, you can be sure that a veritable shopping spree is waiting to happen! 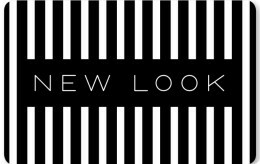 When you can browse the rails of the latest season’s trends in clothing as well as in shoes and accessories - an outfit to suit every occasion can be mastered with the help of the Arcadia group. Let a parent spoil themselves with a new piece of clothing, or treat a friend on a birthday - when you have the perfect selection of stores to choose from - everyone will be left smiling with something from Arcadia. When redeeming your eGift card by visiting one of the Arcadia Brands stores in the UK only, you will simply need to either present your eGift in a printed (pdf) format at the till point or present the electronic version of the eGift card on your mobile device to the Cashier at the till point. When redeeming your e-Gift card online, you will need to input the (16 digit) card number and the (4 digit) PIN code at the payment page of the online checkout.